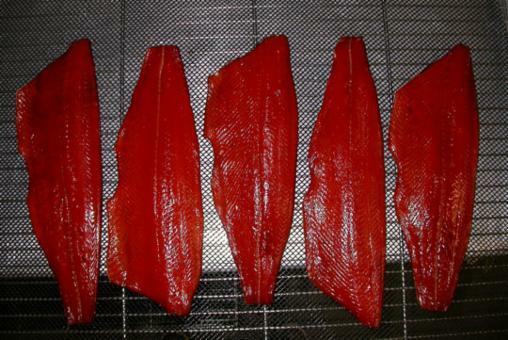 Northern Lights Smokeries offers hot smoked and cold smoked seafood as well as fresh-frozen Salmon, Black Cod and Halibut. 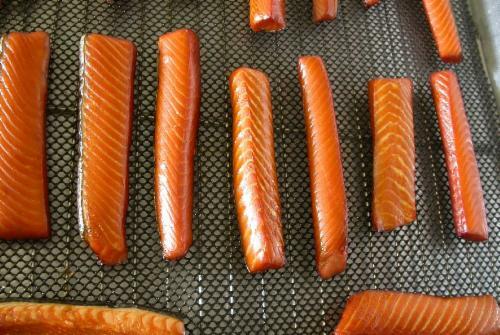 Sockeye and Coho available in whole fillets (shown below), half fillets and 1/3 fillets. Available in whole fillets (sides). Cook before eating. 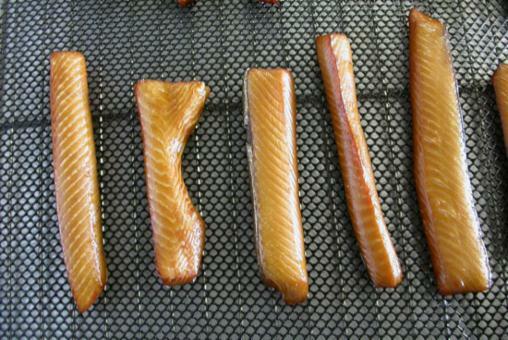 Delicious, highest quality, wild salmon!! Shipping information: We are using UPS, 2nd Day Air, for reliable shipping. Due to our remote location, orders can only be send out Monday or Tuesday, arriving at your door the following Wednesday or Thursday in the afternoon. We ship our products out in insulated (styrofoam) boxes+ gel-ice packs. A minimum of 10 lbs per order is recommended in order to keep the product frozen during transportation. We currently only ship within the USA. For shipping fees, please look under the"Gift Boxes"-tab. Thank You! !